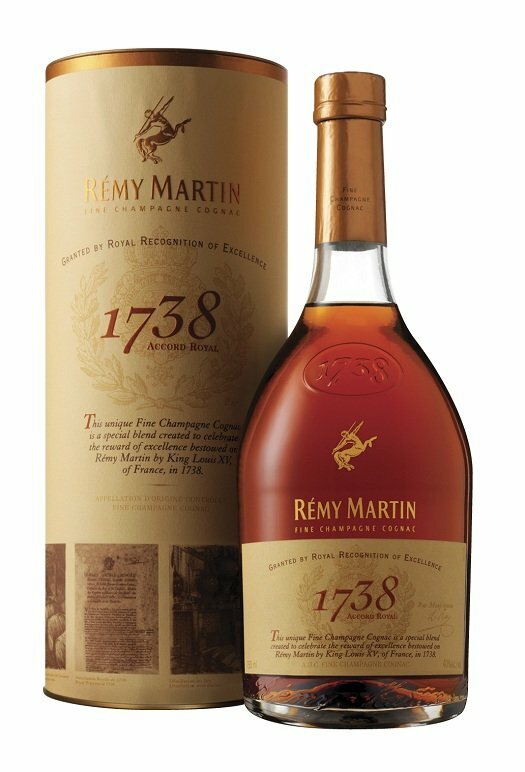 I regret to inform the reader that Remy Martin’s new Cognac, 1738 Accord Royal, is not 273 years old. It is rather a new blend of some 240 eaux de vie, 65% Grande Champagne and 35% Petite Champagne grapes, aged between 4 and 20 years in Limousin oak barrels. The name derives from a 1731 accord from Louis XV, who said that no new grape vines could be planted without royal approval. Remy got such approval seven years later. Despite the nod to the 18th century, the Cognac is definitely on the young side, with strong wine flavors and big apricot and peach notes. Woodiness comes into play on the finish, with a lightly astringent bite. At the same time, it is balanced throughout with notes of cinnamon, baking spices, and a light dusting of chocolate. A good entry-level Cognac, if not remarkably different from standard Remy Martin VSOP ($33).